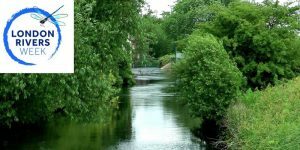 To celebrate London Rivers Week, enjoy a guided tour of Walthamstow Wetlands, where the reservoirs are fed by the River Lea and the River Thames. On this leisurely two hour guided walk through the stunning landscape of Walthamstow Wetlands, you’ll see a variety of beautiful wetland birds and you’ll hear all about the regeneration project, the wildlife and the heritage of the reservoirs. Walthamstow Wetlands is a Site of Special Scientific Interest and is home to an internationally important population of resident and migratory wetland birds that are protected by the Ramsar Convention on Wetlands. Find out all about the transformation of Walthamstow Reservoirs into one of the largest urban, wetland nature reserves in Europe, which is due to open fully to the public in September 2017. Free tickets must be booked in advance as places on the walk are strictly limited.